Hello! I am a raccoon. Don't you think I look like a dashing bandit with my black face mask? Like a bandit, I move about at night and disappear by sunrise! I eat both plants and animals, and am especially fond of nuts, fruits, insects and frogs. I use my front paws like hands and often wash my food in water. Don't be surprised if you see me in your backyard! 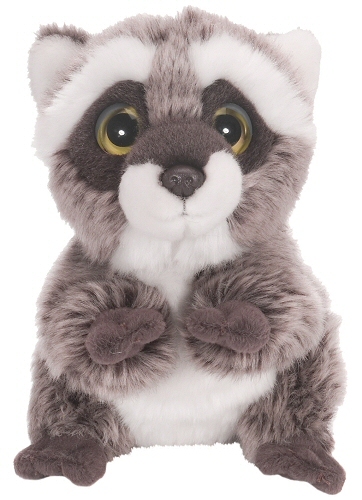 A portion of the proceeds from the sale of this Wild Watchers raccoon stuffed animal help support foundations for disadvantaged children and abandoned animals.